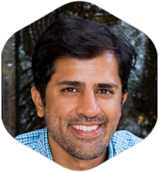 One of our newest licensees authorized to use Diabetes Relief’s patented treatment process is Darshan Shah, MD, MBA, ABFM, ABIHM (wholehealthaustin.com), whose clinic is in Austin, and we’d like to introduce you to him. You may have friends in the Austin area who need the treatment or other services Dr. Shah offers. Whole Health Austin is an Integrative and Holistic Medical Clinic that operates on the common ground between Ayurveda, Traditional Chinese Medicine (TCM), our Microbiome, and Western Medicine. The thread that connects these sciences is our gut, and the type of medicine Dr. Shah offers based on this understanding is Integrative and Holistic Medicine. Ayurveda and TCM have recognized and highlighted how healing starts in the intestines, gall bladder, liver, stomach, and other digestive organs. Now modern medicine is catching up with what has been observed for thousands of years. Dr. Shah’s contact information is 2112 Robert Browning Street, Austin, TX 78723; 512.937.3518; info@wholehealthaustin.com; website is wholehealthaustin.com.